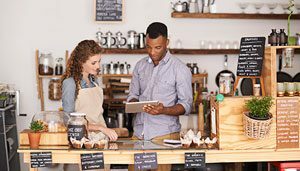 If you want to grow your retail business, you have to ensure you’re maximizing productivity in every area — including with your employees. Your staff is a huge part of your in-store workings (and therefore its success), so it’s particularly important to think closely here about how you can motivate them and encourage them to be as productive as possible. In this post, we’ll outline 4 ways you can make sure you’re getting the most out of your team. Keep reading to set yourself up for retail success! A Gallup study published in February 2017 indicates that 70% of American workers don’t feel engaged at work. That means that only 30% of the workforce is motivated and inspired to do their best on a day-to-day basis — which we can all agree isn’t an ideal number. The first way to improve retail employee productivity is to do everything you can to hire a member of that 30%. You want a team who’s interested and invested in what your business is doing and what you’re all about. What you don’t want? Someone who’s on autopilot and who’s only there for the money. 1. Recruit on different channels. In the world we now live in, there are more ways than ever to find the right employees. Post your job openings wherever you can: LinkedIn, Facebook, Instagram, Twitter, etc. The wider your net, the more people you’ll reach — and the likelier you are to find those top-notch individuals. 2. Have a conversation instead of an interview. One of the cardinal rules of hiring is that you want to bring on board people who you genuinely enjoy being around. The best way to determine whether or not this might be the case is to structure your “interview” as more of a conversation. Make sure you find out what you need to, but go about it more casually — like you’re speaking to a friend. Provide regular recognition and feedback. When employees show up day-in and day-out without ever getting proper recognition for what they bring to your business, morale is bound to slide — and productivity will go with it. It’s important to regularly let each member of your team know that you appreciate their work and to tell them how what they’re doing is affecting your operations. As soon as you get to the point where an employee is wondering why> they’re doing what they’re doing, you’re on the way to losing them. It’s common sense that an employee who feels genuinely appreciated and valued will be more motivated to do what you want them to do: ramp up the productivity. Make it your policy to have regular chats with your team (be they one-on-one or over the phone) to provide regular recognition and feedback. Is a particular staff member exceptionally good at interacting with customers? Tell them. Is another always willing to step up when needed, say by covering shifts or staying late? Let them know. They’ll feel like you really see the value they bring to your organization, and in turn they’ll likely work harder. It’s a win-win! Want to communicate with your employees more frequently and easily? Try Deputy’s performance management feature. This allows you to quickly make notes on each employee’s performance in real-time and to view reports on performance over time, enabling actionable decisions for better employee management. Employees can get instant, private feedback or receive public praise when their actions have greatly benefited the business. You should firstly be training your employees in all aspects of your specific business and operations. This includes everything from opening and closing procedures to the ins-and-outs of your POS system and inventory counts. This particular tip might seem obvious, but it’s important to really think about the process and to take it seriously. Remember that just because you’re well-versed in the inner workings of your business doesn’t mean a cursory overview of your operations will result in the same for your staff. Employees who don’t feel fully comfortable with the minutiae of the place at which they’re employed are less likely to give you maximum productivity, and they might even be reluctant to fully engage on a daily basis for fear of doing something wrong. So make sure they’ll well-trained, and encourage them to always ask you any questions they might have. Second? Consider an employee development program. This doesn’t have to take the form of a traditional course or conference (although it certainly can); rather, it should be a sort of collaborative effort between you and your employees to ensure you’re constantly fostering both personal and professional improvement. Perhaps it’s a small monthly stipend for books or fitness. Or maybe it’s a regular allowance to attend a trade show or event that’s relevant to your business. Whatever the case, showing your employees you care about them as people and not just about them as workers will foster goodwill, loyalty, and productivity. Give your employees the right tools. Employees are only as productive as the available tools allow them to be. In other words, if the systems you and your staff are using are out-of-date or if you’re still having them do most admin tasks manually, their productivity will just naturally fall short of its full potential. In order to take employee productivity to new heights, give them the right tools. Move whatever you can to the cloud, which will enable faster and more efficient operations. Still using an old-fashioned POS system? Upgrade to a retail management solution such as Vend! Still using pen and paper or Excel spreadsheets for employee scheduling and time tracking? Try Deputy’s workforce management app to make it quicker for your employees and managers to manage their schedules and to clock in and out. 1. Hire the right people — the ones in that inspired and motivated 30% of the workforce. 2. Provide regular recognition and feedback so your staff know you appreciate them for more than just the hours they put in. 3. Invest in training programs, whether they’re geared toward personal or professional development. 4. Give your employees the tools they need to do their jobs to the best of their abilities. 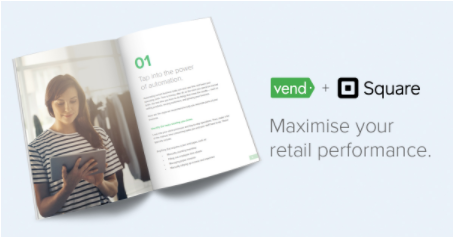 And if you’re looking for more tips and examples on how you can be more efficient in your business, check out Vend and Square’s guide on maximizing retail store productivity. This resource sheds light on helpful tools you can use in your shop, and it discusses the steps you can take to ensure your business runs like a well-oiled machine. It also talks about the importance of data and about how tracking the right metrics will enable you to allocate resources more effectively. 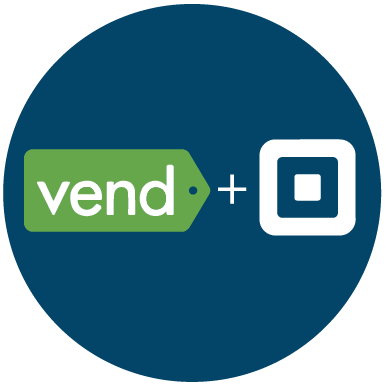 Vend + Square Deputy, Vend, and Square have partnered up to provide the ultimate all-in-one solution for employee management, POS, and payments processing.